Note: This procedure is for non-admin personnel with permission to create groups. For personnel with admin roles, see Set up groups (admins). Use groups to associate users who have common traits, like a skill, a manager, or a project. You can create any number of groups, and you can add any number of people to each group. See About groups for more information. From the top menu bar, click Directory. Select the Add New icon, and then select Group. 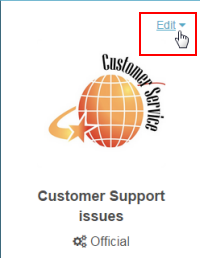 In the New Group window, complete the following information and click Create. Name Type the name as it will appear in profiles and search results. Official — The group is work-related (people on the same project team, people with the same skill). Social — The group is not work-related (people who play ping pong, people participating in the same charity event). Public — Grant full public access. Everyone in the organization can find this group using search, monitor this group’s chat room, and contribute to conversations. Only admins or group owners can add or remove members from groups. An admin or group owner cannot remove a participant who monitors a public chat group. Members-only — Restrict access to owners and members of this group. Owners-only — Restrict access to the creator and designated owners of this group. Add members individually who are not affected by membership rules. For example: Even though a rule excludes everyone on Kevin’s team, still include Larry (who reports to Kevin). 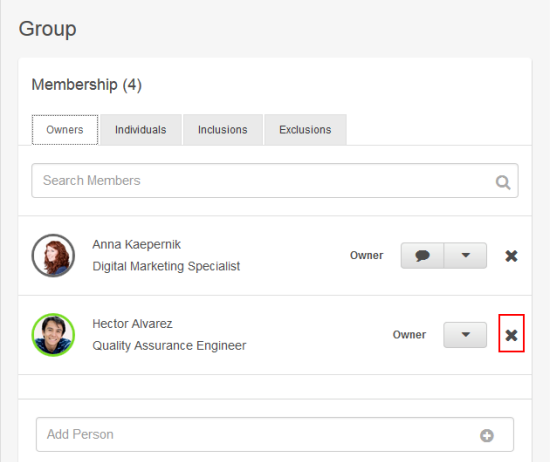 Add members with a rule by keyword to include or exclude people with certain profile data. 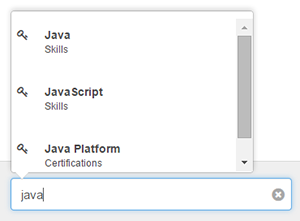 For example: Include people with Title = Project Manager or Skill = Salesforce CRM. Add members with a rule by relationship to include or exclude people who are connected to the same person in the reporting structure. For example: Include Sarah and her Direct Reports. From the Group profile page, select Edit. On the menu, select Edit General Information. In the General window, edit the following properties and click Confirm. Description Type a description of the group to appear on the group profile pane. Links Click Add to link the group profile page to related material. Include Owners Select to show group owners in the membership list. On the menu, click Edit Profile Picture. On the Upload Picture dialog, click New Picture and browse or take a picture for the group. Click and drag the handles around the image to crop the picture and click Upload image. On the menu, click Edit Privacy Rules. On the Privacy dialog, edit the following properties and click Confirm. Public — Grant full public access. Everyone in the organization can find this group using search, monitor this group’s chat room, and contribute to conversations. Membership Rules Visible? Select if group membership rules should be public. When you add someone individually, their membership is not affected by changes in membership rules. See About membership rules for more. In the Membership pane, click Edit. Note: The Edit link is only available if you are a group owner or if you have a role with admin privileges in PureCloud. Begin typing the name to search and click the name when it appears. 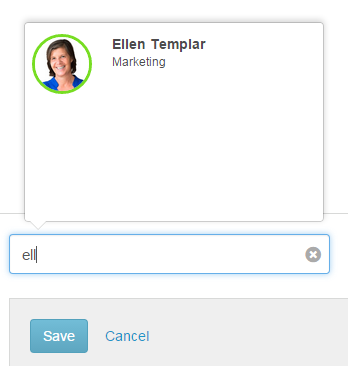 Use a membership rule by keyword to include or exclude people with a certain tag on their profile page. Group owners cannot be added by membership rule. For example: An organization wants to create a group for everyone who has the latest company safety certification, the ASC. This can be done with one keyword rule to include everyone with an ASC tag in the Certifications section of their profiles. In the Add Keyword field, begin typing the name of the keyword and select it from the menu when it appears. You can remove a membership rule by keyword at any time by clicking the “X” at the right. Use a membership rule by relationship to include or exclude people who are connected to the same person in the reporting structure. The person who is the base of a membership rule must have an active account in PureCloud. In the Add Person field, begin typing the name of the person and select from the menu when they appear. Select people by their relationship. Give someone full editing rights for the group by adding them as an owner in the Owners tab. You can also remove yourself as an owner if you finished setting up a group for someone else. From the Membership pane, click Edit. Click the Owners tab. Add an owner: In the Add Person field, begin typing the name of the person and select from the menu when they appear. Remove an owner: Click Delete to the right of the user. Note: After you remove yourself as an owner, you no longer have editing rights for that group unless you have a role with group admin permissions in PureCloud. For non-admins, only the Owner of a Group can delete a group. Here’s how to delete a group. From the menu bar, click Directory. From the Directory list, click Groups. From the Group profile pane, above the Group name, click Edit. 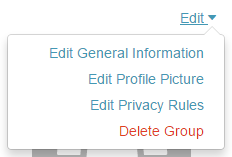 From the Edit menu, click Delete Group.